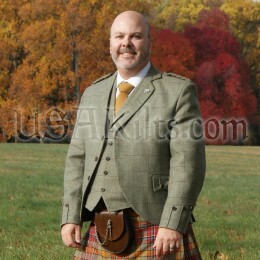 Show off your Celtic pride with this Celtic Nations tartan necktie. 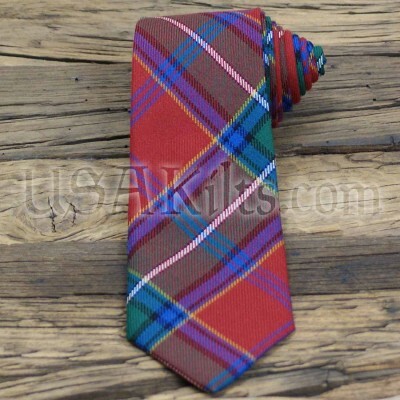 This tie will accent your Celtic Nations tartan kilt or be the perfect accent for a traditional suit. It also makes a great gift for anyone with or without Celtic heritage and a love of tartan! Show your Celtic pride at the office or anywhere, any time, with our exclusive Celtic Nations tartan necktie! You may see some gents sporting a Celtic plaid tie now and then. However, chances are it may not be a real tartan, even if it’s listed as private label. More likely it’s something generic designed by a fabric company overseas. Not this one. This 100% real Scottish wool necktie is woven in the Celtic Nations tartan which proudly represents all of the great Seven Celtic Nations: Scotland (Alba), Ireland (Éire), Cornwall (Kernow), Brittany (Breizh), the Isle of Mann (Mannin or Ellan Vannin) and Wales (Cymru). Pair this hand made tie with your Celtic Nations kilt as part of a sharp-looking highland suit or tweed kilt suit. Or just throw it on any day you have a meeting and want to wow them with a great Celtic Power Tie!